Katherine is an experienced education and employment law specialist who offers first class customer service, legal advice and advocacy. 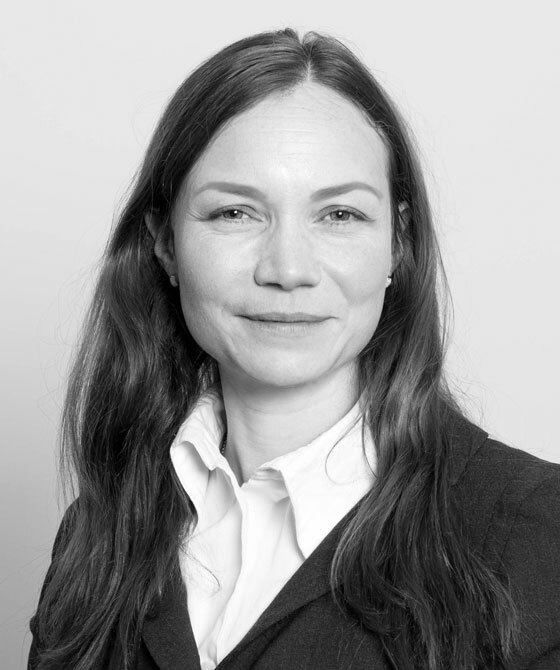 Katherine has undertaken a number of successful judicial and private mediations as an Accredited Mediation Advocate. Katherine was educated at Cambridge University, United Kingdom, and Harvard University, United States. She completed her postgraduate Diploma in Law at City University and her Bar Vocational Course at BPP School of Law, where she was graded ‘Outstanding’. She has been a tenant of 3PB Barristers since the completion of her pupillage there. Katherine is an experienced employment law specialist who has acted for and advised claimant and respondent employers in the private, public and not-for-profit sectors. She offers particular expertise in relation to disability and other discrimination cases with a personal injury mental health aspect. She has undertaken a number of successful judicial and private mediations as an Accredited Mediation Advocate. In her employment practice she has a particular interest in the education sector and has acted in employment cases concerning staff at nurseries, schools and universities (see also Katherine’s Education Law profile). 3PB Employment Barrister Katherine Anderson examines the implications of Peninsula v Baker on employer liability for acts of victimisation. Katherine Anderson examines if an employer can escape "scot-free" from liability for an act of victimisation if it is 'astute enough' to instruct an innocent third party – or employee - to carry it out. Katherine is an experienced education law specialist with a particular interest in special educational needs. She is familiar with the issues that may arise in relation to mental capacity in education cases. Employment tribunal proceedings (see also Katherine’s Employment law profile). Katherine has acted in many complex cases concerning special educational, health and social care for post-16 and post-19 year olds in Education and Health and Care plans, including under the National Trial. She has recently acted in appeals to the Upper Tribunal regarding the special educational provision for a physically disabled child with a fluctuating health condition, and regarding the interrelationship between the social care and special educational provision in an EHC plan for a young person over 19 years of age. Disability discrimination claims against universities by students who were required to withdraw from their courses. Katherine also provides training in education law to a variety of different audiences, including local authorities, solicitors, university student advisors, lay panel members and educational experts. She is herself a parent of young children. Katherine Anderson is qualified to accept instructions directly from members of the public and professional clients under the Direct Public Access scheme.